Claudio Uberti , director of the government agency which controls the freeway concessions (OCCOVI) in Argentina, a close contact of Venezuelan President Hugo Chávez. Juan Mussa, a Peronist leader who was present at the time has denounced that Mr. Uberti threatened the customs agents not to check Antonini’s suitcase. Ezequiel Espinosa, president of ENARSA, Argentina’s state Oil and Gas Company. Victoria Bereziuk, a young employee of ENARSA, secretary of Ezequiel Espinosa who has been romantically linked to President Nestor Kirchner. Daniel Uzcateguy Speech, son of vice president of PDVSA in Argentina. He supposedly invited Antonini Wilson to board the plane. A day later the plane arrived in Aeroparque at 2:30 AM when the airport is normally closed. Usually, international flights do not land at Aeroparque but at Ezeiza International Airport. A special order was necessary to open the airport to receive the flight from Venezuela and to arrange for customs officials to be present. It took those officials three days before the incident was reported to the Justice Ministry. Who is Guido Antonini Wilson? According to the Federal Bureau of Investigation, they have already notified the Federal Police, via Interpol, that Antonini was apprised of a bench warrant issued by an Argentinian judge. Antonini cannot leave the United States or his home. On September 1st 2007, Argentina’s ministry of Foreign Relations formally requested Antonini’s extradition. Some analysts remain skeptical this will actually occur. Others believe that this is a tactic to distract the public. Roberto Hernández, vice president of Venezuela’s lower house, said President Chávez “doesn’t have to say sorry” to anyone because the cash found on Antonini was a personal matter. Petróleos de Venezuela (Pdvsa) issued a press release reporting the resignation of Diego Uzcátegui Mateus as managing director of the Pdvsa unit in Argentina. Uzcátegui’s decision to quit was accepted “in order to facilitate the investigation.” It is important to note that Venezuelan law prohibits carrying more than US$10,000 in cash and such a sum should have been declared upon leaving. Average citizens find it harder than ever to get hold of any foreign currency. The warrant against Antonini, who happens to hold U.S. citizenship, is particularly important because of his links to Hugo Chávez and various high ranking Argentinian officials. 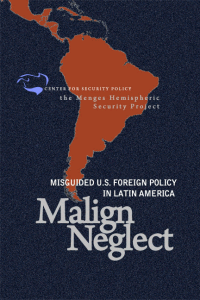 In addition, the incident occurred just a few months before the presidential election in Argentina. The good news is that Argentinian Customs functioned despite pressure from influential passengers. Uberti’s interference, however, suggests the complicity of some other passengers. There is reason to believe that this has not been the first cash transfer and that we are talking about cash smuggling on a larger scale. Andrés Oppenheimer of the Miami Herald argues that the money could have been intended for the campaign of first lady Cristina Kirchner or for pro-Chávez groups such as D’Elía’s, “piquetero” movement or may be a kickback to Argentine government officials for a business deal. The first option seems rather unlikely, despite what appears to be incriminating evidence, since the Kirchners would presumably be too prudent to topple a successful campaign by accepting any illegal assistance through Chavez linked representatives. The latter possibility is much more likely, though. The Venezuelan government has a track record of subsidizing politically close clients, thus increasing their stakes in Latin American neighbor states and influencing the policy of local decision makers in their favor; through financed proxies. This is the plausible pattern of a financially well equipped, aspiring hegemon. Others say that the money could be a bribe for ENARSA because if it had been clean, it would have been done by wire transfer. This could be true, since Venezuela tries to get constant Latin American customers for the future, a future where the US might consider other sellers. The Venezuelan government has been well instructed by the Russian example as to how to exercise influence in Eastern and Western Europe. 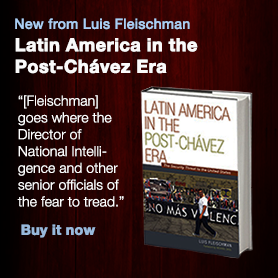 The idea that Latin America needs Chavez like Europe needs Putin is quite tempting for a leader whose aspirations are clearly bigger than his country. Circumstantial evidence, such as the aforementioned prior meeting between Antonini and Chavez might be pointing in this direction. Another possibility might just be that some renegade PDVSA officials wanted to get some cash out of the party, creating personal reserves for a foreseeable end of the Venezuelan bonanza. Following Antonini’s fate upon his return to Venezuela might give some hints as to whether that might be true. El trámite que desató el escándalo. August 9, 2007. Diario La Nación, Argentina. Antonini Wilson presumably found in Miami. August 28, 2007. El Universal. Involucra al Gobierno el caso de la valija con dólares. August 9, 2007. Diario La Nación, Argentina. COPEI denuncia vinculación directa entre Chávez y Antonini. August 20, 2007. Se apartó la jueza y el caso se demora. August 11, 2007. Diario Clarín, Argentina. Errores más que notorios. August 15, 2007. Diario La Nación, Argentina. Un millonario con lazos políticos y fama de aventurero. August 9, 2007. Diario La Nación, Argentina. La sombra de la corrupción: aparece en 4 empresas registradas en Florida. Aug. 11, 2007. Diario Clarín, Argentina. COPEI exige investigar la presunta conexión. August 21, 2007. El Universal, Venezuela. El misterioso señor de los peajes. August 9, 2007. Diario La Nación, Argentina. Críticas de la oposición por la situación de Uberti. August 9, 2007. Diario La Nación, Argentina. Public prosecutor applies for international arrest of Antonini Wilson. August 14, 2007. El Universal, Venezuela. Niega Kirchner vínculo con caso dólares. August 11, 2007. El Universal, Mexico. Suitcase of cash shows Chávez’s ways. August 16, 2007. Miami Herald. By Andres Oppenheimer. Argentina wants to arrest Venezuelan businessman. August 15, 2007. Miami Herald. Cancillería envió a los EEUU el pedido de extradición del venezolano Antonini Wilson. Sept, 1st, 2007. Infobae. Secretaria de alto vuelo. August 18, 2007. Revista “Noticias,” Argentina. Oscuros privilegios de Pdvsa. August 23, 2007. Diario La Nación, Argentina. Pdvsa VP resignation confirmed. August 18, 2007. El Universal, Venezuela.